Idaho middle school/junior high and high school students are invited to enter the 10th Annual 2018 Stories of Transformation Writing Challenge. A group of Idaho high school and middle school students created the vision of a world that they want, a world where we choose all of us where violence no longer occurs. We believe the themes – We Choose All of Us, Belonging to Beloved Community, Restoring Wholeness, Our Spirit, and Our Humanity, Together We are Stronger, and Earth is Sacred, Water is Life – will move us into a future narrative now where everyone is valued, everyone is safe, and everyone can thrive. Create an original poem or story! Writing must be 75 words or less (title does not count) of your own original work related to one of the five themes. You can submit up to three poems or stories. Write in the language where you can best express yourself. Over 100 poems or essays will be selected for each of the middle school/junior high and high school books that are creative and capture the spirit of one of the themes. Student authors should be in Idaho middle school/junior high school or high school – public, private, alternative school settings, or youth groups. Deadline for submission is midnight Friday, December 21, 2018. $100 awarded to the top 10 selections for middle school/junior high school and the high school categories. $25 will be awarded for each of the 100 or more top writings selected for publication for the middle school/junior high school and the high school books to be released in February 2019. All published works will list the author, teacher, and school. A book of the published works will be distributed to Idaho’s secondary schools. Make sure your school is represented! 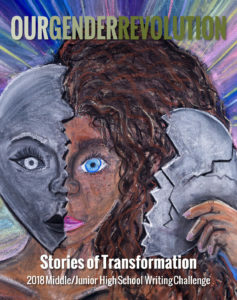 Published students will be invited to share their writing at the Stories of Transformation Poetry Celebration on April 11, 2019 in Boise, Idaho. 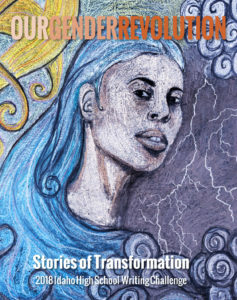 Click here to submit your Stories of Transformation Writing Challenge submission online. Read the winning selections from last year’s themes.